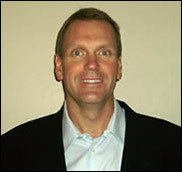 John Mangels has worked both sides of the mortgage industry fence. He began his career in 1987 at what has now become part of the Wells Fargo conglomerate. After ten years of working for the big guys, Mangels moved to the other side of the mortgage industry joining Overlake Mortgage as a loan officer, then quickly being promoted to branch manager. 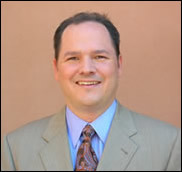 In 1999, Mangels co-founded Scout Mortgage in Scottsdale, AZ with business partner, Steve Walsh. Mangels and Walsh were soon recognized as consumer advocates, declaring honesty and integrity as the cornerstones of their business. As a top producer with nearly 20 years experience in the mortgage lending industry, Steve Walsh knows the ins and outs of the business better than anyone. Walsh kicked off his career in the mortgage business at Overlake Mortgage. He quickly adopted the ideology that a mortgage loan is the backbone of a strong financial plan. Walsh also learned that financial barriers, such as high refinancing fees and exorbitant closing costs imposed by lenders, were preventing many people from applying for a mortgage or refinancing in order to obtain a better rate. He soon recognized that these fees amounted to nothing more than fat commission checks for loan officers. By offering borrowers the ability to get a mortgage loan with very low closing costs, Scout Mortgage has changed the whole dynamic of the mortgage industry. Years ago, people didn’t consider their mortgage a critical part of their overall financial situation. They obtained their mortgage, tucked it away in a drawer and forgot about it for the next 30 years. But the climate has changed; and today, the long-term benefits to dropping a rate by even .25% are staggering – tens of thousands of dollars in interest can be saved.